This guide will teach you how to reactivate your Inigo Team account if it has become deactivated. Accounts may become deactivated after the Inigo Team 14-day starter trial. If a payment method is not entered into the "Accounts and Billing" tab prior to the end of the trial, the account will become deactivated and prompt the user for payment after signing in. You may select "Choose This Plan" under either Monthly or Yearly payment plans. Yearly plans are billed annually, in one payment of $65.88. 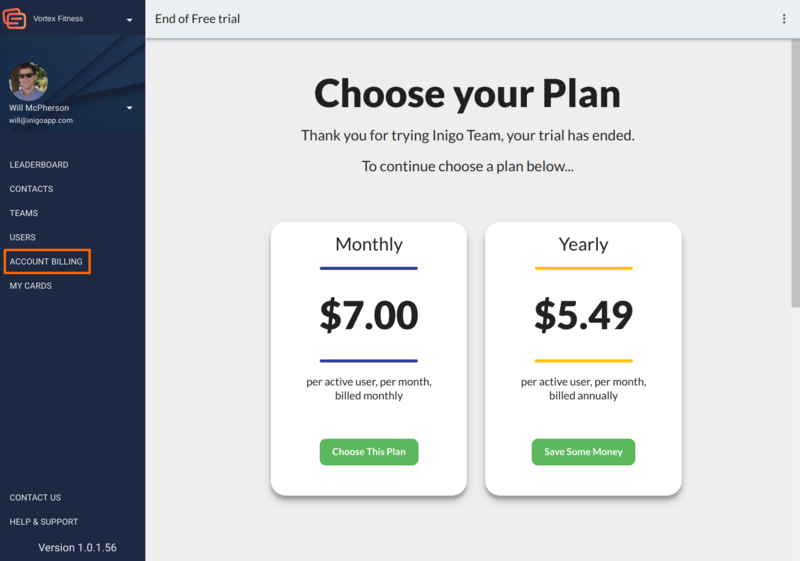 Monthly plans are billed monthly, in payments of $7.00. Click here to view more information on pricing. You can enter payment information prior to your account being deactivated. 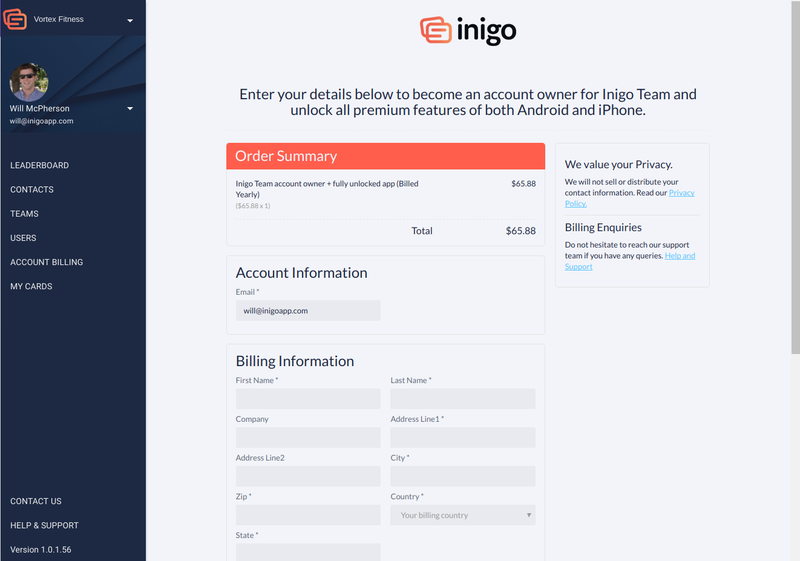 In order to do this, go to the accounts and billing section within Inigo Team. 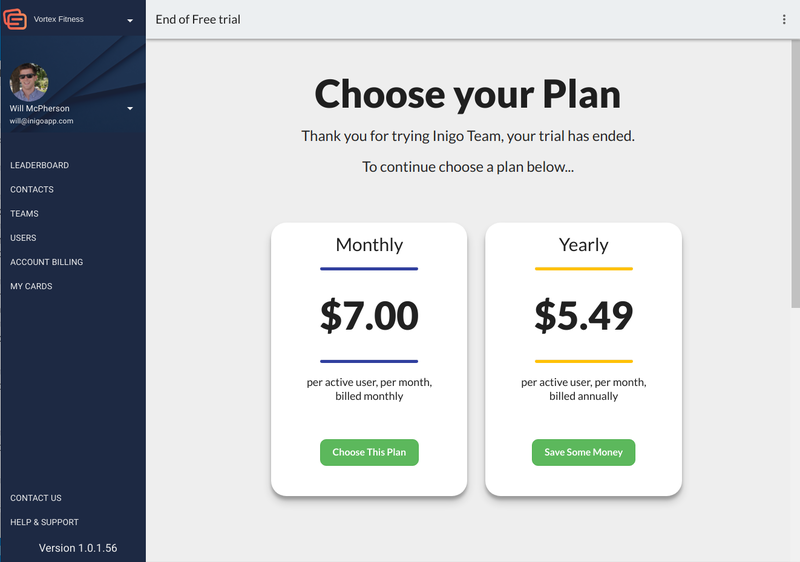 If you enter payment information prior to your free trial ending, you will not be charged until the end of that time period.